To get ready for this past H.P. Lovecraft Film Festival in L.A., I looked up the 9 authors who were going to be there and tried to pick books I thought sounded interesting and likable by a few of them. 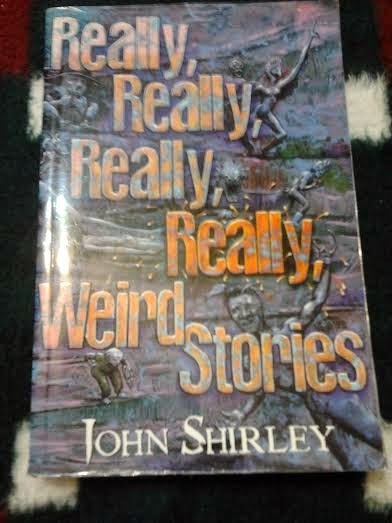 Really, Really, Really, Really Weird Stories was the book I chose from John Shirley's massive collection of work. I read the first story before I'd met him, in case he asked me how I liked it (which he didn't), and continued reading it after the festival. 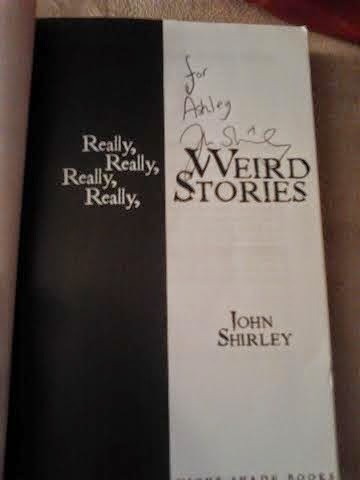 As the title indicates, the stories were indeed really weird. Some were far too weird for me to comprehend and a few I enjoyed. I appreciated the weirdness, which was what hooked me and kept me reading, but some I felt were written for the sheer weird factor than actual story telling. With 37 stories, however, I think it was worth it to get, for there are so many different tastes in it that even if you didn't like a certain type of story, their were plenty others that might grab you.